It almost goes without saying that members of the Foreign Service have a lot to share. Whether through incredible stories of adventures abroad, personal accounts of years spent in war zones, memoirs of a life in government service or poignant analyses of foreign policy and history, the men and women of the Foreign Service are in an extraordinary position to share valuable personal insights and contribute to national and global debates. Unfortunately, most Foreign Service and State Department employees perceive such vast bureaucratic barriers to publishing while in the Foreign Service that they determine it is not worth the effort. To be sure, those obstacles are very real and very frustrating. I personally experienced practically every one of them in publishing as a State Department employee. It often felt like I was a first-time athlete trying to run a marathon with no end in sight and high jumps at every turn. But I made it through the process. My book, 102 Days of War—How Osama bin Laden, al Qaeda & the Taliban Survived 2001, was released in January with only a small amount of information redacted. Since then, I have held public events at the Brookings Institution and the Johns Hopkins School of Advanced International Studies, spoken on National Public Radio, and published articles in national and international news media—all with the approval of the State Department, and all while serving as an FSO. And if I can do it, so can anyone else in the Foreign Service. Publishing is not only good personal career development; it is important for American society. Historical and foreign policy scholarship is a universal good that can inform leaders about difficult decisions and help them avoid the mistakes of the past. And personal stories about life in the Foreign Service help educate the American people about a type of public service that is often overlooked and underreported. As an American diplomat, I strongly believe in the obligation to protect all classified information. There are simply things that cannot be discussed in the public domain, which can often include current, unresolved issues in international relations. In general, however, the U.S. government has a keen interest in encouraging its employees to engage in a dialogue with the American people and the world at large. Such exchanges are not only an important element of a functioning democracy, but an essential part of representing the United States abroad. The rules and regulations for publishing in the Foreign Service can be found in the Foreign Affairs Manual at 3 FAM 4170. All current and former State Department employees who want to publish or speak publicly should review the document in its entirety. The first determination that must be made is whether your material is “of official concern.” The FAM defines official concern as any material that relates to “any policy, program or operation of the employee’s agency or to current U.S. foreign policies, or reasonably may be expected to affect the foreign relations of the United States.” In other words, it is entirely a judgment call. Unless it would be utterly preposterous to mark your material “of official concern,” you can safely assume which verdict the State Department will give. Personal judgment plays a role. Technically, “Materials that do not address matters of official concern need not be submitted for review” (3 FAM 4172.1-1a). You may make that determination as an individual, but if you possess any doubt about meeting the threshold, forgoing the clearance process altogether is quite risky and generally not advisable. The second determination is whether you are acting in a private or official capacity. The latter term implies that an action is part of one’s official discharge of duties on behalf of the State Department. It is important to note that the presumption of private capacity can be overcome by a number of factors, including rank, relationship to the subject matter or the potential for harm to foreign affairs (see 3 FAM 4172.1-6(B)). Individuals who have put together materials in their private capacity that are “of official concern” are required to submit them for clearance. For current employees in the United States, the reviewing office is the Bureau of Public Affairs (paclearances@state.gov). For current employees stationed overseas, the point of contact is the chief of mission. And for all former employees, the reviewing office is within the Bureau of Administration’s Office of Information Programs, A/GIS/IPS/PP/LA to be precise. The purpose of the review is solely to “ensure that classified material and other material protected by law are not improperly disclosed and that the views of employees are not improperly attributed to the U.S. government” (3 FAM 4172.1-1a). The review should not address any other issue. The duration of the review remains one of the largest problems in the process. According to 3 FAM 4172.1-5, the review process is “not to exceed 30 days.” But in reality, neither the Bureau of Public Affairs nor the Bureau of Administration adheres to that regulation, although they often try to act in good faith on it. Nonetheless, if you do publish material before the review is complete, you must be absolutely sure that no piece of information can be interpreted as classified—and be aware that you proceed at your own (potentially great) risk. It is important to note that determining whether material is classified is often not as clear-cut as it may seem. Fifteenth-century European history is clearly not classified, while the location of U.S. nuclear weapons unequivocally is. But what about drones? What about the information disclosed by WikiLeaks or Edward Snowden? When does an event transition from a current issue to a historical case study? In an open, democratic society with a very active and capable press, many pieces of information may be publicly available but remain sensitive or classified. There are no easy answers to these questions, and they often need to be addressed in context on a case-by-case basis. In a democratic society with a very active and capable press, many pieces of information may be publicly available but remain sensitive or classified. Once the material is submitted, the reviewing office distributes it to other offices and internally clears on it. Who gets to clear the material is solely within the purview of the reviewing office, but it is in this exercise of authority where the most can go wrong. Within the State Department, the process for clearance typically falls to the regional desk and other offices with “equities”—a purposefully imprecise and vague term that can be bent to mean anything. In other words, no clear and specific guidelines exist that specify who has the authority to determine whether information is classified. More often than not, the desk officer reviewing the material did not work on the issue being evaluated and therefore does not have the information to make a well-informed judgment. Desk tours typically last just two years, which makes determinations on issues that occurred years or decades ago difficult and subjective. It is unfair to put desk officers in such a position, and equally unfair to the prospective authors who are only seeking an objective process. One of the worst-case scenarios is that the reviewing office determines that interagency clearance is necessary. Not surprisingly, that process is a black hole where acquiring information is practically impossible and each agency uses different—and often conflicting—processes and standards to determine if material is classified. The State Department’s 30-day rule also gets thrown out, even though no regulatory foundation exists for ignoring it. Unfortunately, once the State Department distributes the material to other agencies, it voluntarily gives up its authority to make a final judgment on what is classified, even though it still technically “owns” the process. And if some other agency determines that something is classified—even if that notion is completely ridiculous—the State Department will not overrule it. In addition to being cleared in a number of offices at the State Department, my manuscript was sent for clearance to the Central Intelligence Agency, the Department of Defense and the National Security Council. The CIA utilizes a Publication Review Board, while the Defense Department has an Office of Security Review; each has its own guidelines and appeals processes. Getting through the interagency and State Department pre-publication clearance processes took me a full year: from Oct. 22, 2012, to Oct. 23, 2013. My manuscript came back after months of delay with hundreds of redactions from the CIA and DOD. I appealed every redaction and provided extensive lists of my sourcing to prove that all information was acquired from publicly available sources. To their credit, the CIA ran a clear and transparent process and withdrew practically all objections in response to my appeal. In contrast, the Defense Department’s process was opaque and problematic. DOD redacted a map that is in a published, official departmental history and was provided to me by the Special Operations Command history office for republication. Other redacted materials included common unit names and the title of one SOCOM component command listed on the <a href="http://www.socom.mil">www.socom.mil</a> website. DOD denied my appeal even when confronted with clear and convincing evidence that none of the material was classified. My only recourse was to sue the U.S. government, which I declined to do. DOD refused to provide explanations for their redactions. And, unfortunately, State never pushed back or advocated on my behalf within the interagency to challenge some of the more absurd redactions. It was a failure to protect my rights as an American citizen and a government employee. Luckily for me, the material that was redacted was not vital to my book, but that is not necessarily going to be the case with other reviews. DOD redacted a map that is in a published, official departmental history and was provided to me by the Special Operations Command history office for republication. The good news is that most clearance requests take just a few weeks and do not entail interagency review. In fact, for straightforward materials like op-eds, or time-sensitive situations like interview requests, State can often act in days or hours. (It has done so for me on several occasions.) Ultimately, the State Department approves almost every request it receives for publication. My main advice for anyone embarking on this process is to work cordially within the system, know your rights and the State Department’s regulations, and thoroughly cite your sources. If you do, you should feel confident that your material will be cleared for publication and that the State Department will support you. There is plenty of room for improvement in the pre-publication clearance process. First and foremost, State must do a better job of adhering to the regulations it has set forth in the Foreign Affairs Manual. Anything short of that standard is unfair to everyone involved. Second, the department should establish clear guidelines on how it distributes material internally and across the interagency community. That threshold should have nothing to do with terms as vague as “equities.” Instead, offices and agencies should have the opportunity to clear on material only if that material is the result of “privileged information”: information that employees acquire during the discharge of their duties that is not otherwise available. Third, State needs to ensure that former employees receive treatment comparable to current employees. A significant gap exists between the attention given to current employees by PA and that former employees receive from A/GIS/IPS/PP/LA. As that lengthy acronym suggests, former employees are relegated to an obscure office in the Bureau of Administration when they seek pre-publication clearance. In contrast, the PA leadership is often engaged and provides consistent oversight of the review process for current employees. This bifurcation not only creates unnecessary bureaucratic layers and redundancies, but places additional burdens on former employees trying to do the right thing by clearing their manuscripts. This discrepancy should be rectified. These short-term fixes would go a long way toward improving the pre-publication clearance process for employees. In the long term, however, the State Department should consider establishing a publication review board modeled on the CIA’s Publication Review Board. A State Department PRB would codify a transparent, objective and fair process that minimizes the need for interagency clearance, ensures proper and consistent determinations on what material should be classified, and reduces the strain on the State Department at large, and its employees in particular. Ultimately, State needs to strike a better balance between protecting information and encouraging activities in the public domain. The pre-publication review process remains too arbitrary, lengthy and disjointed for most government professionals to share their unique experiences and expertise with the American public. Still, despite the bureaucratic challenges I faced, it is pretty incredible that the U.S. government allowed a young diplomat to write a detailed—and sometimes critical —narrative about sensitive military and intelligence operations that occurred only 12 years ago in an ongoing conflict. In fact, I do not think that any other government in the world would allow that sort of liberty. But that is the United States of America at its best, and just one more reason I am so proud to represent it. 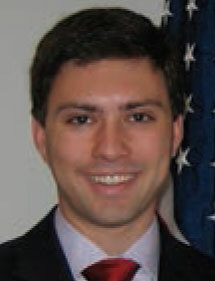 Yaniv Barzilai, a State Department Foreign Service officer serving in Baku on his first overseas posting, is the author of 102 Days of War—How Osama bin Laden, al Qaeda & the Taliban Survived 2001 (Potomac Books, 2013). The views expressed in this article are his alone and do not necessarily represent those of the State Department or the U.S. government. Author’s Note: This article has been reviewed by the State Department, Central Intelligence Agency and Department of Defense in order to prevent the disclosure of classified information.